Realizing that there's been confusion over the free to play business model underlying the upcoming Shadowrun Online, the game's creators have opted to explain things in clear, plain language. 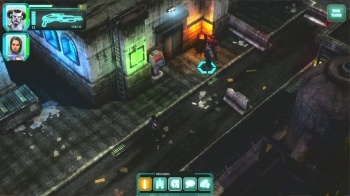 When Shadowrun Online joins the ever-expanding ranks of free to play massively multiplayer online roleplaying titles at some as-yet-undetermined point in the future, the game will feature its own unique take on the increasingly common revenue system. Unfortunately, anything new is bound to generate confusion, and that's exactly what's happened with Shadowrun Online. Thus, in the interest of clearing up any misinformation, the people behind the game have posted a new entry on the game's official blog that lays everything out clearly. The quick and dirty version is that there will be two groups of players, the premium group who shells out cash for a subscription to the title, and those who are playing the game for free. Both of these groups will buy and sell items using the game's core currency (Nuyen, for you Shadowrun geeks), but the free to play set can also spend real-world cash for extra bonuses that the premium group receives innately. Further, the premium group receives bonus cash and experience during gameplay, and their actions are weighted more heavily than the free to play gamers when it comes to advancing the MMO's global storyline. To what degree this holds true remains to be seen. With all of that in mind, it should be noted that all players, regardless of payment status, will be playing on the same server and have the ability to complete all the same content alongside any other player in Shadowrun Online. Also, if a free to play gamer opts to pay for a subscription, his or her characters and progress will carry over to the new payment model. The only real change is that all of the aforementioned subscriber bonuses will then be applied to their future Shadowrun Online gameplay sessions. Premium items cannot not be given to characters if they belong to the 'other' business model. As we expect different cash levels (campaigners may be more affluent), cash will also not be traded, which incidentally also discourages professional cash farmers - though you can always sell your item to the fixer, of course. Professional cash farming (for those who don't know it) is often done by involuntary labor (read modern-day-slaves) and we have no intention of supporting that. You can find more granular details of this system on the official blog, alongside a handy chart to help you remember how everything works. Needless to say, those who shell out money to play Shadowrun Online will have a more streamlined, lucrative existence in the game, but the scheme doesn't seem to offer players a "pay to win" option per se. In short, you're free to continue anticipating Shadowrun Online.